For the first time, we have an Elementary Robotics team which includes 8 Ella Risk students and 1 Calcutt student. 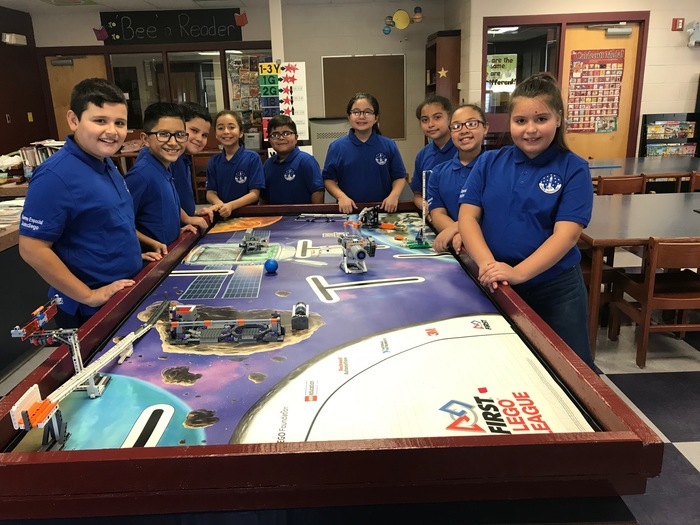 With the guidance of their coach Mrs. Degnan, they are working hard all year to prepare for their competition on December 1st. Good luck to our "Space Warriors"!